"I have always had this great adoration of people who are different, and I have always celebrated them." Peter Blake is often called the "Godfather of British Pop art." 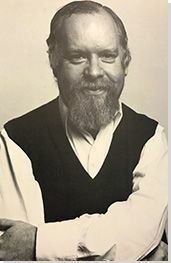 Like many artists of his time, he came of age in a country recovering from the war, so much of his interests were drawn toward the bright and happy lifestyle that was being touted in America via a booming advertising industry utilizing groundbreaking new methods such as screen-printing to create optimistic and bold renditions of life in magazines, on posters, and on billboards. His early training as a graphic designer coupled with a rich education in more historical modes of art allowed him to blend his obsessions with the new youthful popular culture and pop music scene in swinging London with foundational art references from the past into a form of urban realism that was fresh. This challenged the status quo's idea about what constituted art and broke down barriers between traditional fine art and the new cutting edge field of Pop. As he progressed in his career, he continued to make work that gave respectful nods to the past cultural lexicon yet which remained equally engrossed in what lay on the horizon, reflecting man's ongoing experience of being prone to the external influences of past, present, and future. Many of Blake's more noted paintings are compositions of pictures within pictures, painted homogeneously on a singular plane. Whether pinned onto a subject's clothing, framed on a wall in a conjured environment, or held up by a character within a composition, Blake is showing us our common trait of collecting visuals, of treating them as objects to assimilate into badges of our own individual identity in which the line between looking and adopting becomes one. The infiltration of popular culture, and most specifically pop music, into the art world scene was a common motif in Blake's work. The most famous example of this crossing of genres can be seen in the work he produced for The Beatles' seminal Sgt. Pepper's Lonely Hearts Club Band album cover. Blake's work represents a decidedly British condition of searching for a better present or future. In his Pop art, this search led to the idealism seen in American advertisements and pop culture. In his later Ruralist works, this is shown through nostalgic depictions of a more conservative and Victorian past, or in the fantasy worlds of elves and fairy tales. In his landscape works this is found in the quieter, gentler pastures of life in the countryside. Blake's consistent influx of references to current cultural trends remark upon the human experience within a constant stream of outward influences born within a mass media-laden society. Whether wrestlers, musicians, celebrities, works of literature, or nods to prior artworks, he fondly pays homage to the source materials of our modern mythmaking. Blake once said, "You simply can't make art without having that history of art behind you and I think if you asked any artist they would always say they had learned from previous art. Perhaps I show that more than most in that I often appropriate art and quote from it." Even into the later years of his career, he continues to pepper his work with a combination of references to past and present to suggest this ongoing relationship. 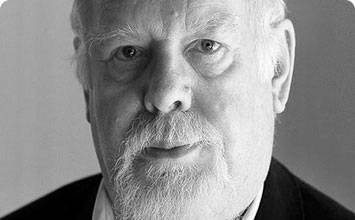 Peter Blake grew up in Kent, England in a typical blue-collar household as a son of an electrician. Although he had a younger brother and sister, he claims he was always "a solitary child" who was "extremely shy". He experienced a disruption in his education when his family was evacuated during the Second World War. In this famous painting, Blake combines images of ordinary, everyday people with a plethora of references to the theme "On the Balcony." These range from ephemeral magazines and snapshots to consumer goods to the art found in museums and galleries. For example, the figure on the left-hand side holds a copy of Eduard Manet's The Balcony (1868), while a copy of LIFE magazine obscures another figure's head (in all, approximately 32 versions of images of balconies are in the image). The youthful subjects appear to be teenagers and can be seen as tokens of a fresh generation receptive to Pop art's key principles, which were the breakdown of traditional understandings of the art object and sources, and the reassessment of distinction between art and life. Because each of the painting's references are shown as part of a cohesive whole, carted by figures representing the gimlet eyes of youth, we might ascertain Blake's provoking invitation to regard everything in our midst as valid objets d'art. In fact, Blake made many images of youths and children, tightly cropped and depicted head-on stares throughout the 1950s. It has been argued that head-on stares were more direct and natural than profiles of faces that are considered more sophisticated. Although On the Balcony may look like a collage, it is actually an oil painting. This is a prime example of Blake's signature technique of making metapictures, or paintings of pictures within pictures. The perceived value between the accumulated imagery disappears amongst this singular plane - a thumb in the eye to the hallowed halls of the institution of painting. In Girlie Door, Blake recreates a universal scene that can be found in any common teenage boy's bedroom. A hardwood base resembling a door is painted red, the color of flushed and frustrated adolescent desire, upon which is pasted a haphazard collection of beautiful women from the big screen. Sophia Loren coyly sniffs a flower and Marilyn Monroe displays her incredible gams below. The women loll and pose, looking directly at the viewer; the knob of the door shadowing their implicit invitation to "open me." Knowing that Blake's childhood was interrupted by the chaos of war, and that a traumatic cycling accident marred his sense of security over his physical appearance, we might come to see this piece as representative of a pent up libido - the longings of an outsider. The piece reflects a shrine constructed of accessible images of women from the popular culture of the time; the normal machinations of a pubescent boy, yearning from within the comfort of his own isolation. The door simultaneously reflects potential entrance into a world of glamour and fantasy while also remaining shut off prohibitively. While other Pop artists frequently used images of women in their work, they often did so with a tongue in cheek or overtly sexualized bent. In Blake's piece, we find a refreshing breath of innocence that brings to mind the semi-awkward wonder in burgeoning lust. This painting is a self-portrait, with Blake depicting himself as a young man defined by his obsession with American youth culture. He is wearing fashionable Converse trainers, turned up jeans, a plethora of badges and a glum expression on his face. The badges suggest that the artist is trying to forge an identity for himself, aligning himself to as many causes and popular icons as possible in the hope of finding one that will stick. The attempt seems to be unsuccessful though, as the badges support an American presidential candidate (who is unpopular), Elvis (who was losing popularity by 1961) and Pepsi (Coca Cola's less successful rival). The work is a modern take on Thomas Gainsborough's The Blue Boy (1770), which sets a beautifully dressed aristocratic young man in the dramatic English countryside. Instead of a windswept landscape, Blake stands in front of a dingy suburban fence, demonstrating the difference between the England of the 1960s and the romanticized landscapes of Gainsborough. It also points to the difference between Britain, which was still suffering economically after the Second World War, and America, which was going through a consumer boom. Blake's work is a response to the work of emerging American artists such as Robert Rauschenberg and Jasper Johns. In particular, it makes reference to paintings of targets by Johns and painter Kenneth Noland. Those works depicted the target as an object of popular culture, utilizing previously unused imagery as a source for fine art. For Johns, using well-known images in his work such as the target allowed the viewer to look beyond the imagery they already recognized to appreciate the "other levels" of the work. For Blake, using recognizable imagery wasn't just a tool to manipulate the psychology of the viewer; instead, he used well-known source imagery as a subject in its own right. Blake takes the appropriation of Johns and Noland a step further, by incorporating a real archery target into his work. In this way, Blake bluntly names the literal target "art" much in the way of his early role model Duchamp, thus stripping away the art world's inherent pretension. This image is one of a series of paintings and screen-prints of wrestlers made by Blake over the course of his career. He began going to wrestling matches in his childhood, and was fascinated by the culture and atmosphere that sprung up around them. This painting is derived from a photograph of a real wrestler, an American who pretended to be a German when he was in the ring, to project a more frightening persona. Blake was interested in the performative, camp nature of wrestling matches and sought to depict this. Drawing on his collage practice, Blake added real objects to his painting, including a model of a Mercedes, a horse and a cigarette holder; all trademarks of villains in movies and popular culture at the time. Blake commented that these additions "all add to the distinguished nastiness of him". These objects also point to a large distinction within Blake's Pop art practice versus Warhol's soup cans or Hamilton's household items whose impersonal depictions were very intentional. As written by historian Marco Livingstone: "Blake by contrast remained more attached to things that looked worn, weathered and lived-in, as pockmarked, defenseless and knocked around by life as the people who possessed them." In fact, the format of the piece, including the found objects, recall devotional altars that can be found in Catholic churches, where worshipers offer appropriate items as gifts to the saint depicted. The lack of arms in the male figure at the top of the piece conjures the idea of a wounded warrior placed on a pedestal by adoring fans much like the martyred saints that pepper biblical mythology. This work evokes comparison between the act of worship taken on by religious devotees and the act of worship bestowed upon celebrity icons in everyday culture. Blake's design for the record cover of Sgt. Pepper's Lonely Hearts Club Band by The Beatles has become iconic, seen as emblematic of 1960s psychedelic culture. It is Blake's best-known and most widely reproduced work. However, he was only paid a meager £200 for the design, upon which he was required to relinquish all copyright and royalties (an occurrence that he remains bitter about to this day). The cover was created as a living collage, with the Beatles posing amongst life-sized renditions of 70 famous people, from popular culture icons to sports stars to intellectuals. All the famous personalities on the cover almost seem to be elbowing their way forward through the crowd to stand closer to the front with The Beatles. This extensive borrowing from popular culture is typical of Blake's artistic approach, and also echoes the democratic ideals of The Beatles and the culture surrounding them. The wide range of references from a huge spectrum of culture and society was emblematic of the apparently limitless possibilities offered by the "swinging London" of the 1960s. The album cover gave Blake the opportunity to create a deliberately reproducible work of art, allowing him to ask questions about whether the reproducibility of art lessened its artistic value. Blake believed that through a work like Sgt. Pepper he could create a form of art, which was both genuinely popular and able to be enjoyed by millions through its widespread distribution. Blake constructed the scene alongside his wife Jann Haworth and art dealer Robert Fraser. Blake was keen to question the idea of the single omnipotent artist through artistic collaboration, and this also deliberately echoed creative attempts being made in the 1960s to find new ways of working across disciplines and social boundaries. When Peter Blake left London at the end of the 1960s, he moved to the countryside and started painting in a very different style. He took inspiration from the landscape and from an old-fashioned way of life, rather than focusing on the bright colors and consumer goods of Pop art. To create this work, Blake was extensively inspired by the Victorians, and their interest in fairies and fairy tales. Like many Victorian fairy lovers, he chose to depict a moment from Shakespeare's A Midsummer Night's Dream, painting the fairies who attend on Queen Titania and King Oberon. Blake's soft technique and depiction of ethereal light coming from a hazy moon and floating fairies closely echoes Victorian and Edwardian fairy paintings such as Midsummer Eve (c.1908) by Edward Hughes. However, the paneled wooden fence strongly recalls a well-tended middle-class garden, pointing to Blake's evocation of a country idyll, which is not wholly imaginary. Furthermore, Blake gives the largest fairy, Puck, the face of Del Shannon, a 1960s pop star, making a small reference to popular culture and suggesting a correlation between Victorian belief in fairies and contemporary obsessions with celebrities. In 1975 Blake was a founding member of the Brotherhood of Ruralists, and gave the following definition of what they set out to do: "Simply, our aims are the continuation of a certain kind of English painting; we admire Samuel Palmer, Stanley Spencer, Thomas Hardy, Elgar, cricket, English Landscape, the Pre-Raphaelites, etc. Our aims are to paint about love, beauty, joy, sentiment and magic." When he returned to London towards the end of the decade, however, Blake's style returned to an aesthetic more closely inspired by Pop art. This painting depicts a meeting between three men: Peter Blake himself (middle), and British painters Howard Hodgkin and David Hockney (left and right respectively). Blake began the work after he and Hodgkin had visited Hockney in his Los Angeles home in 1979, attesting to a friendship between the artists. Hodgkin and Blake agreed to create three paintings each and to exhibit them together in an L.A. style gallery. The painting is an attempt to imbue a fleeting moment with a sense of permanence. It makes use of the rules of perspective set down during the Renaissance and demonstrates Blake's ability to paint in a realist style. The work makes reference to a work by Gustave Courbet, The Meeting or Bonjour Monsieur Courbet (1854). Courbet's painting depicts a meeting between the artist and two men, possibly his patron and his patron's servant. By replacing the figures with himself and other artists, and changing the setting from the bucolic countryside to suburban L.A., Blake combines the tropes of fine art with references from popular culture. He painted from staged photographs of Hodgkin, Hockney and himself, and based the other figures on cuttings from magazines, returning to his earlier collaging instincts. However, although this work is derived from myriad sources, the final result is a single logical composition on a traditional picture plane. Blake is paying homage to Courbet, depicting the colors and sights of California, and assessing his place in art history in this one mature painting.